Draft: 2004, New York Yankees, 3rd rd. June 25, 2014 Washington Nationals released RHP Christian Garcia. June 4, 2014 Syracuse Chiefs placed RHP Christian Garcia on the 7-day disabled list retroactive to June 2, 2014. May 26, 2014 Syracuse Chiefs activated RHP Christian Garcia from the temporarily inactive list. May 24, 2014 Syracuse Chiefs placed RHP Christian Garcia on the temporarily inactive list. May 16, 2014 Syracuse Chiefs activated RHP Christian Garcia from the 7-day disabled list. April 24, 2014 Syracuse Chiefs placed RHP Christian Garcia on the 7-day disabled list. March 20, 2014 Washington Nationals optioned RHP Christian Garcia to Syracuse Chiefs. November 13, 2013 Naranjeros de Hermosillo placed RHP Christian Garcia on the reserve list. November 4, 2013 Christian Garcia roster status changed by Washington Nationals. October 19, 2013 RHP Christian Garcia assigned to Naranjeros de Hermosillo. 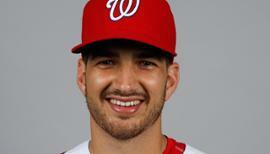 September 6, 2013 Washington Nationals sent RHP Christian Garcia on a rehab assignment to Harrisburg Senators. 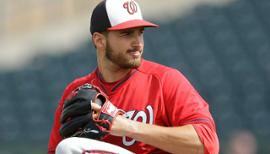 September 4, 2013 Washington Nationals sent RHP Christian Garcia on a rehab assignment to Potomac Nationals. September 3, 2013 Washington Nationals sent RHP Christian Garcia on a rehab assignment to Auburn Doubledays. June 7, 2013 Washington Nationals sent RHP Christian Garcia on a rehab assignment to Syracuse Chiefs. May 31, 2013 Christian Garcia assigned to Harrisburg Senators. May 31, 2013 Washington Nationals sent RHP Christian Garcia on a rehab assignment to Harrisburg Senators. March 24, 2013 Christian Garcia roster status changed by Washington Nationals. September 3, 2012 Washington Nationals selected the contract of Christian Garcia from Syracuse Chiefs. September 3, 2012 Washington Nationals activated RHP Christian Garcia. June 5, 2012 Christian Garcia assigned to Syracuse Chiefs from Harrisburg Senators. April 2, 2012 Christian Garcia assigned to Harrisburg Senators from Syracuse Chiefs. September 2, 2011 Christian Garcia assigned to Syracuse Chiefs from Auburn Doubledays. 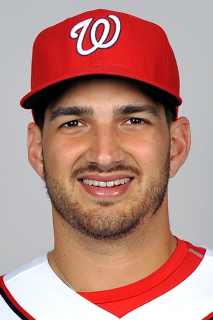 August 2, 2011 Christian Garcia assigned to Auburn Doubledays from Washington Nationals. August 1, 2011 Washington Nationals signed free agent RHP Christian Garcia to a minor league contract. May 14, 2010 Trenton Thunder released RHP Christian Garcia. May 14, 2010 New York Yankees released RHP Christian Garcia. March 13, 2010 New York Yankees optioned RHP Christian Garcia to Trenton Thunder. November 9, 2009 Christian Garcia roster status changed by New York Yankees. June 11, 2009 Christian Garcia roster status changed by Trenton Thunder. May 20, 2009 Trenton Thunder activated RHP Christian Garcia from the 7-day disabled list. April 6, 2009 Trenton Thunder placed RHP Christian Garcia on the 7-day disabled list.